Who Wants to be the King of the Darting Hill? 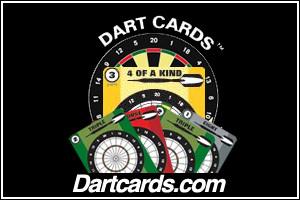 The King and Queen of the Hill series of dart tournaments are NOT meant to always be standard dart tournaments. Torontodarts.com strives to provide ALL dart players with opportunities to play competitive darts in an environment where newer dart players can learn and improve their game. These are not simply tournaments meant to cater only to top calibre players. To provide dart players with an opportunity to win a decent cash prize while staying in the Toronto area. To give developing players the chance to play in an actual tournament against more established players. With this in mind, it should be noted that some spots in these events may be provided free to up and coming players, or as promotional giveaways to promote the sport of darts. Our hope is that tournaments like these, as well as our other efforts, will grow the base of local competitive dart players as these are generally players who would not otherwise be involved in tournament-level darts. When are the events held? We are trying to run each event type twice a year - one in the spring and one in the fall. So 2 Cricket events, and 2 501 events for both men and ladies for a total of 8 events in a year. All dart players of all skill levels are welcome, however anyone under the age of 19 must contact us to in advance for permission. Should permission be obtained, they must be accompanied by an adult for the duration of a given event. For liability reasons, children younger than 13 are not permitted on the premises during the event without prior permission. King/Queen Tickets are generally $25.00 per player, with $5.00 going to organizing costs and $20.00 being added to the prize pool. The total amount available as prizes works out to $20.00 X the amount of paid players. King of the Hill Elite tickets, however, are $55.00 each. It is necessary to take out $5 to cover the costs of materials, advertising and extras associated with the event. A portion of tickets are also given away in our efforts to promote the sport and play of darts to various players, groups and organizations who are supporters of darts. Winners of our King and Queen of the Hill events are also awarded 2 FREE tickets to the next event in the same series. There no promotional tickets given away for King of the Hill Elite events. How do I Guarantee my Spot? The only way to guarantee your spot is by purchasing a ticket in advance. You can do this online with any credit card or through PayPal (see the blue arrow above), purchase one in person from a TorontoDarts.com representative, or pay by mailing a cheque or money order. We will likely limit the number of entrants, at which point a waiting list will be created. If you are to be added to the waiting list, we will notify you about it. Your chances of playing if you do not buy a ticket in advance are greatly reduced as we often turn people away from our events. 501. Round-robin (groups of 5, preferably). 3 legs per match. Top 2 players advance from each group and the playoffs are generally Best of 3, Best of 5, Best of 5, Best of 7, and Best of 9. Each player is guaranteed 12-15 legs during group play (depending on number of players in their group), which usually lasts for 2 to 3 hours. Ties within groups are decided by take-backs. Any ties after that will be decided in one big game of 701. All people on the waiting list must register with the organizers no later than 11:30 am. If you have not signed in by that time, your name will be removed and the next person on the list will be given a spot in the tournament if one becomes available. If a person is not present for a match to begin, the opponent can come to the organisers to have the time started. Once 5 minutes has passed and that person is not present, he or she will automatically lose that leg. The next scheduled match will begin so as to not have an idle board. The person who lost the leg will have the chance to play a match of 2 legs once everyone else has finished their matches in that group. Any further violations will result in a leg being lost each time, to a maximum of the 3 legs that he or she was going to play in the first place. We trust that this won't become an issue, however we have all been involved in situations where lateness has been an issue. This is a fair rule which places the responsibilty onto the player. We are all adults and everyone has paid to play. Please be respectful of your fellow players and appreciate that it is not the responsibility of the organisers to chase after people. If there is a chalker for a given match, all darts thrown will need to remain in the board until the chalker and thrower agree on the points scored. If a player removes the darts prior to such an agreement, the chalker's version will count. This will be final and no appeals to the organisers will be heard. If there is no chalker for a given match, all darts thrown will remain in the board until both players have agreed on a score. If darts are removed prior to such an agreement, the opposing player's understanding of what was hit will count. For example, if a player takes his or her darts out of the board and announces "121" and the opposing player states that it was an "81", the score of "81" will count if contested. Please be sure to provide your opponent with the opportunity to confirm your score. This is especially important when playing "cricket". Anyone chalking (both players and designated chalkers) will score from left to right, meaning that the amount scored will be on the left side of the chalkboard and the amount remaining will be on the right side of the chalkboard. If an error in counting occurs, it can only be corrected by concensus between the players and/or the chalker and only if the player whose score is incorrect has not thrown at least one dart again. 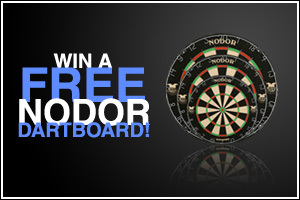 If your score is incorrect and you have thrown at least one dart following that turn, the score will not be corrected. If there are any issues with a chalker (slowness, incorrect scores, not standing still, etc. ), please explain to the chalker what is expected. If this fails, a player can respectfully request that the chalker be removed. At no point will a chalker be blamed for any result as it is the responsiblity of the player to ensure that all scoring is correct. Anyone not involved in a given match is asked to remain quiet and not to speak to the players and / or chalker. This involves corrections to scores and anything related to out shots. IMPORTANT: Groups and individuals always have the option of not following the above options based on what makes them more comfortable. In the event of an issue, however, the organisers will refer to the above for clarification and decisions will be based on these guidelines. Unless stated otherwise, groupings will be determined through a random draw at 11:30 on the day of the tournament and will be drawn once all registered players have been finalised. Unless stated otherwise, playoff positions will be determined through a random draw once all of the round-robin sheets have collected and confirmed. Receive our newsletter and win! Every two months or so we send out our newsletter that's packed with local darting news, tournament dates and lots of free stuff. We're on Facebook & Twitter! Follow us on Facebook and Twitter and keep up to date with everything in the world of Toronto Darts! Copyright© Torontodarts.com. All Rights Reserved. Reproduction of this website and its contents, in part or in whole, is strictly forbidden and protected by copyright.